For Street Fit® Instructors who are starting to build up a following in their local area the rewards of getting in early should soon start to become apparent. But if business is a little slower than you expect, don’t worry. Here are three common reasons why start-up businesses can struggle plus the strategies that will help you break through those early barriers to business success. When you’re on the inside looking out, you can sometimes have a distorted view of what your potential customers see. 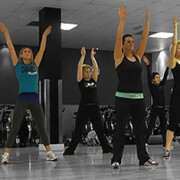 You know that Street Fit® delivers real fitness while giving customers the chance to be creative and have fun. To others you might just be that ‘new girl’ who’s teaching ‘dance classes’. How can you attract those ambivalent people to your class? The answer is to give them a reason to care (i.e., create a ‘value proposition’). With summer approaching, people are going to be largely split into two camps: those who want to live the Olympics and those who want to avoid it – possibly by escaping the country. Either way, there are going to be plenty of people out there dreaming of getting their bodies into shape for the summer. Tell your customers that now is the time to stop dreaming and start dancing. Are you Getting ‘Out There’? Some business owners know exactly what they can offer, and have no problem articulating it. However, if you want to fill classes, you need to make sure enough people get the message. Devising a marketing plan will help you target your customers more effectively and increase your efficiency. If you currently rely on using one or two media, try diversifying your marketing channels. Perhaps you could advertise via social media platforms, word of mouth and the local press. Make sure you track your results (e.g. 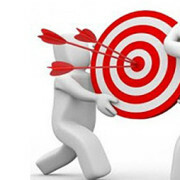 by using promotional codes) so you can see where to focus your efforts. For help on marketing, and any other aspects of business, the government offer a free resource at www.directgov.org. There are details of marketing courses and a free marketing strategy template to download. For more on marketing, check tomorrow’s blog post. From keeping detailed records of your expenditure to analysing market trends and tracking ad responses, the more aspects of your business you can control, the less likely you are to be stung by unpleasant surprises. There is a useful maxim in business which says, ‘if you fail to plan, you plan to fail’, so don’t leave your business to chance. Good luck for a prosperous summer!